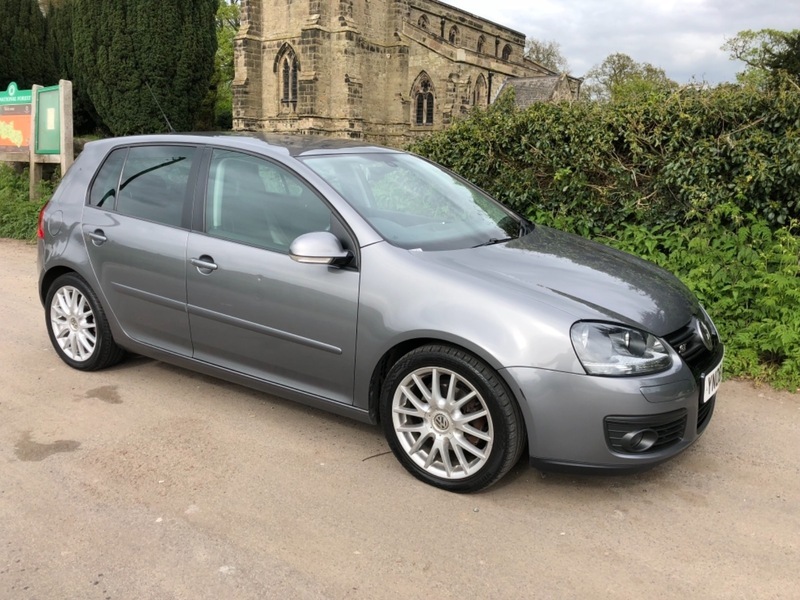 **NOTHING TO PAY UNTIL JUNE 2019**THIS FANTASTIC VOLKSWAGEN GOLF GT TDI 140 HAS JUST ARRIVED INTO STOCK WITH US HERE AT GETACAR,SOURCE - We are fortunate enough to have acquired this vehicle from one of our Preferred Suppliers, and it has been maintained without compromise. CONDITION - It has been Fantastically well looked after by its 2 previous owners. The vehicle has a FULL COMPREHENSIVE SERVICE HISTORY benefitting from services at 13K, 19K, 26K, 34K, 43K, 52K, 60K, 68K and 77K having covered a guaranteed 80,900 miles from new. PRESENTATION - It looks Stunning presented in Metallic Grey. It boasts an excellent condition FULL LEATHER Interior that hasn't been smoked inside or abused in any way. SPECIFICATION - It has an Excellent specification including: FULL LEATHER INTERIOR, HEATED FRONT SEATS, AIR CONDITIONING, CD/RADIO, ABS, ELECTRIC WINDOWS, ALLOYS, Plus, Much, Much, More, and will come with 12 MONTHS MOT. GETACAR- We offer fantastic part exchange valuations, industry leading extended warranties, and all of our vehicles are HPI clear. All our cars are fully prepared to a high standard and will be fully valeted prior to sale. Please call to discuss this fantastic car in more detail. Family run business, open 7 days. Appointments only on Sunday please call our number to arrange a suitable time.